Taste the beer spectrum from Pilsners to Stouts and discover something new to love. 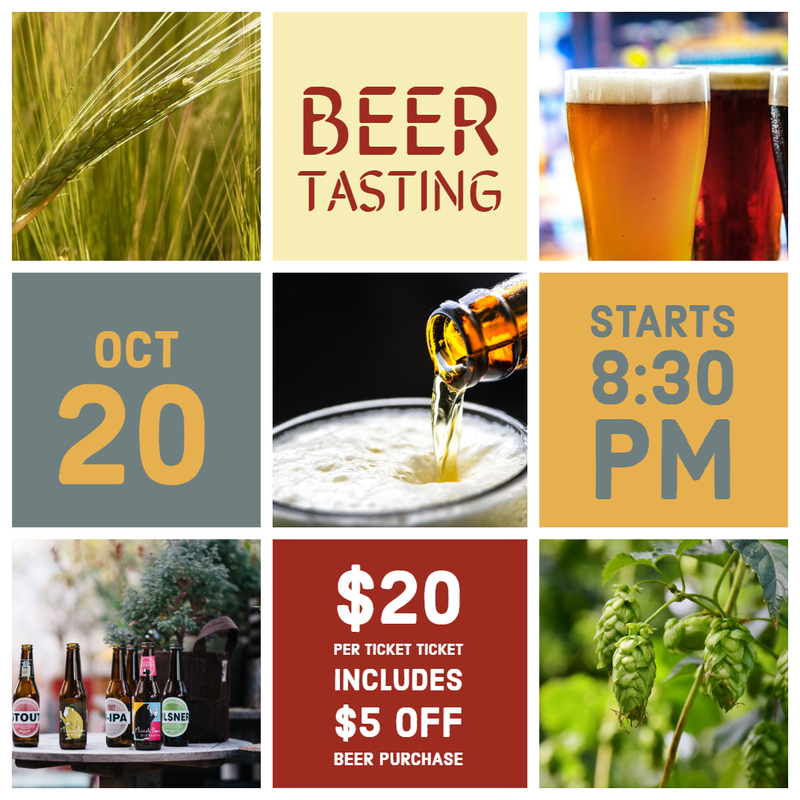 All tasting beers will be available for sale at a discount. $20 ticket includes $5 toward beer purchases. In association with B&B Liquors.